NIJ held a webinar to provide details and guidance for potential applicants to the Forensic Science Research and Development for Criminal Justice Purposes Program. Materials from the webinar are now available online. The Chicago Police Department has a second Strategic Decision Support Center, which allows officers to track crime in real time and predict where violent crime might occur. The new center in the Harrison Police District, which had more than 90 homicides in 2016, includes gunshot detection technology and will allow officers to monitor gunshot sensors, surveillance cameras, the location of police units and calls for service. Plans call for adding technology designed to help police predict where crime will occur through analysis of arrests, 911 calls, gang activity and other data. Three new robots for inspecting suspicious packages are among items recently purchased by the Suffolk County Police Department on New York's Long Island. The robots are described as sleek, small and easy to deploy. The department also received three rapid deployment bomb vehicles and 15 new night vision goggles using funds from state and federal grants. Law enforcement agencies in Delaware used $330,479 in FY 2016 state grants to add equipment, training and patrol hours. For example, Camden police purchased two workstation computers and eight riot helmets. 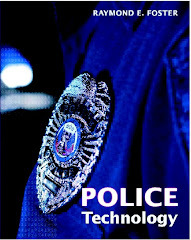 Dover police used the funds for its cadet program, technology upgrades in police cruisers, its planning and training unit, and to aid vice and organized crime investigations. The Clayton PD fitted a new patrol vehicle with emergency lighting, siren and prisoner partition. Fifty-two Michigan schools will receive part of nearly $2 million in state grants to improve safety and security through the purchase of equipment and technology, according to the Michigan State Police. For example, one school system plans to expand the use of proximity access cards at school buildings and expand the use of camera monitoring in district buildings. Officials in Allentown, Pa., are offering matching grants of up to $3,000 for city businesses to install compatible video surveillance systems to help deter and solve crime. A total of $30,000 in city funds will be offered as matching grants to businesses that upgrade or replace surveillance cameras compatible with the city's current network of cameras. The Security Camera Assistance Network (SCAN) program awards applicants up to 50 percent of the total cost of the surveillance equipment and installation, with a maximum cap of $3,000 for an individual business. Officials said the money will cover 15 to 20 surveillance cameras. Projects are underway in the California Department of Corrections and Rehabilitation to expand controlled digital connectivity in the prison system, give staff and inmates digital devices and replace outdated systems with interoperable tools that can provide new data for analysis. Russ Nichols, CIO of the department, notes that technology can provide inmates education and a way to connect with family, and help staff do their jobs better. In some facilities, inmates are receiving mobile devices with limited connectivity and app access. Nichols said his staff have equipped all clinical areas of their prisons with Internet access and have given parole officers digital devices to report rehabilitation work. The University of Massachusetts Medical School is partnering with some corrections departments to improve treatment of substance use disorder among inmates. The collaboration between the medical school and departments of corrections in Connecticut and Rhode Island, and the sheriffs in Middlesex and Barnstable counties in Massachusetts, will address substance use by assessing current screening and treatment practices for opioid addiction, making recommendations for improvements and implementing proven practices to create a model. The Maryland Court of Appeals recently adopted a landmark rule aimed at ending the practice of holding criminal defendants in jail before trial when they cannot afford bail. The ruling does not abolish money bail, but instructs judges and court commissioners to look first to other ways to ensure a defendant appears for trial. The new rule will take effect July 1, 2017.